Denise is now headed for one of the best treats on the AT, the wild ponies of Grayson Highlands State Park. Things have been going well. My body has been changing fast, adapting to trail life. Coming out of Hot Springs I was able to put in longer days with bigger miles and not dropping dead as soon as I arrived at camp. 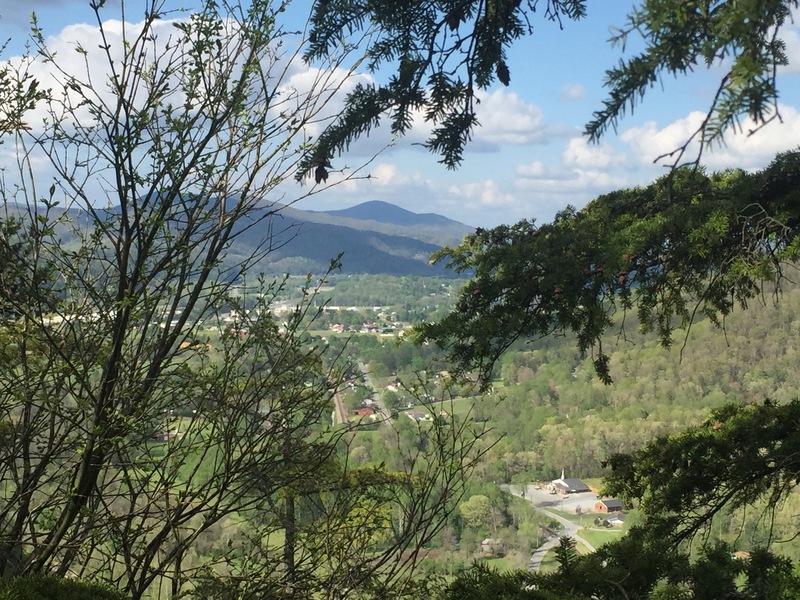 I even did a 16.8 mile day to get to Erwin, TN – the next stop on the trail. I decided to take a day off there to eat, do laundry, and just rest. View of Erwin coming down the mountain.